Raised to be a "new woman" by her mother and three college roommates in the 70's amid anti-war protests, feminist rallies and finals, Rain Rasmussen discovers that putting her career first has left her overdrawn at the egg-bank, and her baby fever has now driven off her significant other. When her terminally ill mother demands a Celebration of Life before she dies; they all confront ghosts from the past on a "stormy" weekend in Monterey. Bebe, the roommate closest to Rain's heart, revisits choices that have impacted Rain the most, raising doubts about God's--and her own--willingness to forgive and to be forgiven. 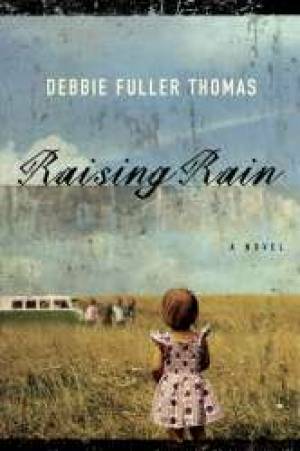 Raising Rain by Debbie Fuller Thomas was published by Moody in August 2009 and is our 14372nd best seller. The ISBN for Raising Rain is 9780802487346. Be the first to review Raising Rain! Got a question? No problem! Just click here to ask us about Raising Rain.